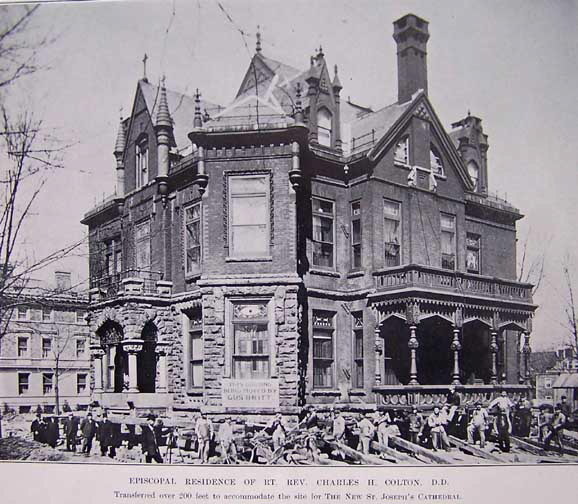 << Caption: Episcopal residence of Rt. Rev. Charles H. Colton, D.D. / Transferred over 200 feet to accommodate the site for The New St. Joseph's Cathedral.